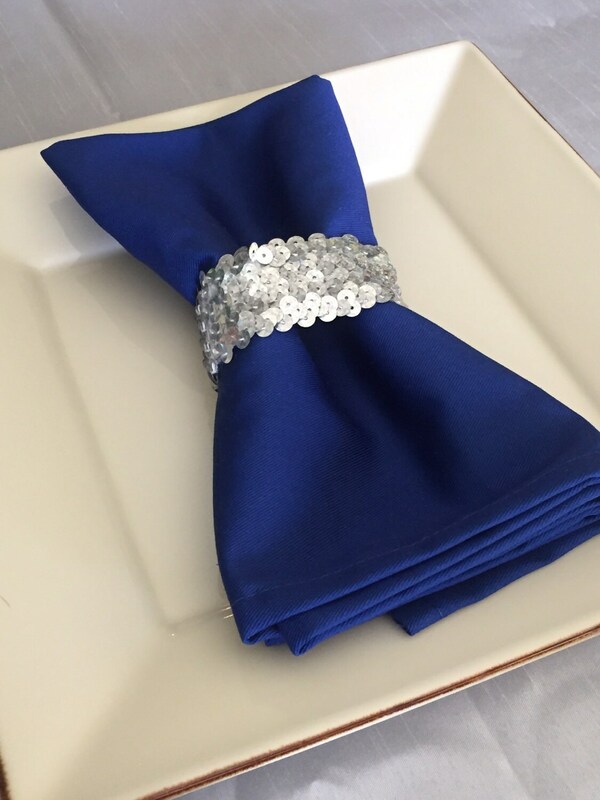 Listing is for each cloth napkin in your choice of royal blue, green, or white. These napkins are an exquisite choice for your table. 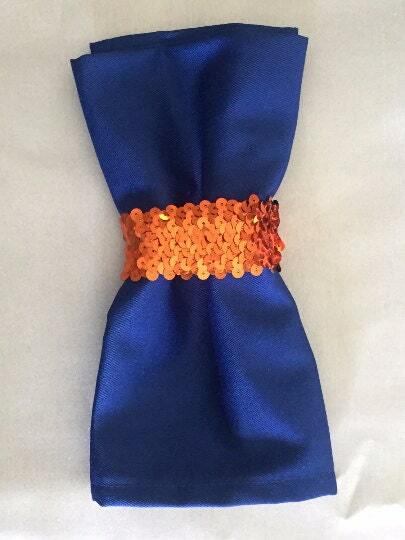 Mix the blue napkin with our orange sparkle napkin ring (pictured) for a Gator party! Sparkle napkin rings pictured can be purchased here in orange, silver, black, or green.